Dad Who Learned He Was Dying Decided to Write Daily Notes on Napkins to Show His Daughter He Was Thinking of Her. 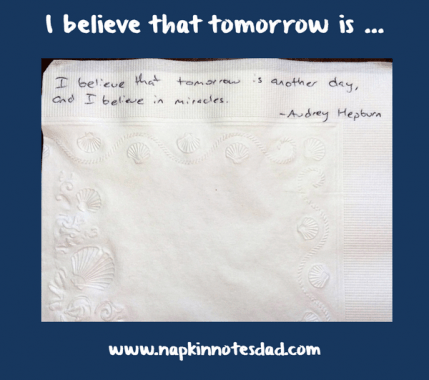 Dad says the little “napkin notes” may be the only thing his daughter has left of him when he passes away. Heart-wrenching story of love between dad & daughter. This devoted dad is trying to make sure his daughter has a note from him in her lunchbox… every day until graduation. CLICK HERE for this Daily Clip!